The Rossini 2016 Festival came about as a result of an initiative by a group of young musicians who wanted to celebrate the bi-centenary of Rossini’s birth by performing his most celebrated opera. Rossini wrote The Barber of Seville when he was 23 and this production has been billed as the youngest Barber ever performed with most of the singers and musicians still in their early to mid 20’s. The production was set in the Italy of the 1950’s and when the opera opened we saw a group of well dressed young men wearing sharp Italian suits and ties and cloth caps. The Count had an overcoat draped around his shoulders and was wearing a trilby – no doubt designed to mark out the class distinctions. At various points in the opera, we watched characters striking poses and lighting up or puffing away on cigarettes – a nod to Italian cinema of the period. The set was limited consisting of outline walls covered in photographs and pictures but enterprising given the budgetary constraints and the speed at which the whole thing was put together. At various points the cast were moving the walls around although I was not always clear why they were doing this or if there was a need to do it quite as much as they did. The cast made good use of the space in the Cadogan Hall: both Figaro and Almaviva made entrances from the back of the hall down the aisles past the audience while Rosina made her initial entrance on the balcony above the main stage before coming down on to the main stage. The 23 year old Italian tenor, Christian Collia took on the role of Almaviva and for the most part he did a very good job. He is a natural comic actor and the various scenes where he came back in disguise were very funny. He has a slightly pinched nasal tone which I did not initially warm to but he got better as the opera progressed and I enjoyed his performance more and more. He dispatched Rossini’s elaborate coloratura with brio and his final aria, Ah, il piu lieto was a tour de force. Russian soprano, Anastasia Medvedeva took on the role of Rosina and she portrayed her as giddy, flirtatious and coquettish. She complemented Collia’s Almaviva brilliantly and the two of them did an excellent job winning the audience over to their side. Medvedeva’s gave a highly accomplished performance of Una voce poco fa and I was impressed with the light effortless way she handled the demanding coloratura. Rising ENO star Alexander Robin Baker embodied the cunning Figaro to perfection and he was in turn funny, endearing and resourceful. Largo al factotum was a triumph and saw Baker delivering Rossini’s vocal gymnastics with aplomb although he occasionally had a slight tendency to rush ahead of the beat. All three of the principal characters combined to great effect in the ensemble numbers and I was particularly impressed with Baker’s ability to blend with and play off the other characters. The other performers for the most part did a good job with their respective roles. Alistair Ollerenshaw was dramatically convincing as the hapless Bartolo and he has an attractive, bright singing tone. Having said that Rossini’s vocal fireworks in A un dottor della mia sorte were not as assured as they might have been and there were some coordination issues with the orchestra. Salvatore Salvaggio’s Basilio was suitably slippery and his vocal projection was particularly good while Julia Hamon gave an accomplished rendition of Berta’s Act 2 aria. Samuel Pantcheff also acquitted himself well in the role of Fiorello. Gaetano Lo Coco and his small band of orchestral players did a reasonably good job capturing Rossini’s frothy, comic exuberance in the famous overture. However, there were a few minor balance and coordination issues particularly in the first Act and the Act 1 finale in particular could have been more tightly managed and needed better vocal definition. The orchestra were seated to the far left of the main stage while the performers dominated the rest of the stage. This decision may have been taken to ensure the singers were not drowned out by the orchestra. I was wondering if it might be worth looking at the positioning of the orchestra vis-a-vis the singers again as this might help to iron out some of the balance and coordination issues. In the second act the players seemed a lot more relaxed and the singers seemed more willing to let their hair down so it was an improvement on the first act and it clearly won over the Cadogan Hall audience. 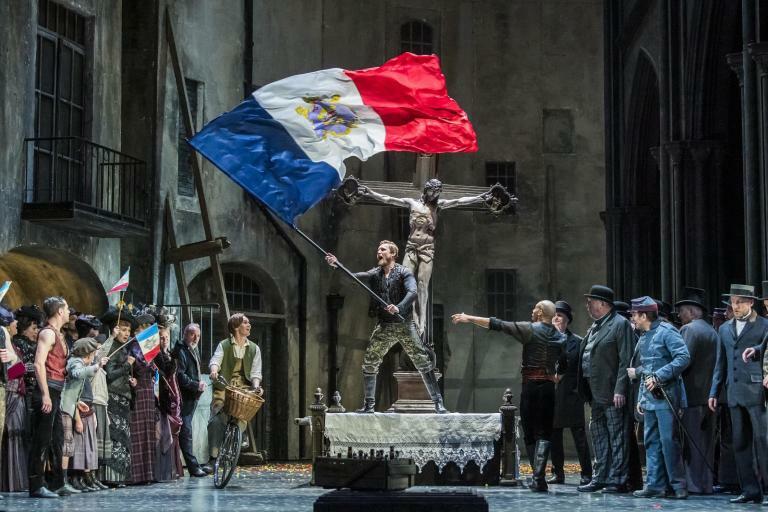 Overall, there were some first class performances in this production although there was also scope to tighten up on the singing and playing and to expand on the production. Notwithstanding this, this was an immensely creative enterprise and it is to the credit of all the performers that it came off as well as it did. I have no doubt that glittering careers lie ahead for many if not all of them. I think you should have given more credit to Gaetano Lo Coco. He was the Music and Artistic Director of the ‘Barber’. He is not even mentioned on the list above. It was his idea to set in Italy in the 1950’s. All men dresses belonged to his grandfather. He selected the singers, did all the rehearsals with singers and orchestra, found the money to set up the opera and organized everything from A to Z: flights and accommodation of singers, rental of spaces for rehearsals, marketing etc.